The Olympics ended just under two weeks ago, and the NHL’s annual trade deadline came and went on Wednesday at 3pm eastern time. Lots has happened in the past 10 days: Sidney Crosby and Team Canada won their second gold medal in a row by shutting out their final two opponents; The United States and Sweden. Ryan Kesler’s name was the biggest on the trade black leading up to Wednesday’s deadline. And the Penguins were unsuccessful in their attempt to land the Michigan-born centerman. With all of that in mind, let’s dive right in to your questions. Do you think that Team USA not medaling at the Sochi Olympics is a bad omen for head coach Dan Bylsma as it relates to his future with the Penguins? Hi Ryan. Glad to know I’m reaching an area where hockey is very prevalent (IUP). A good friend of mine, Dan Hestin, used to be the hockey coach up there. No, I do not believe that the failure of the United States to medal will have any effect on Bylsma’s standing within the Penguins’ organization. Besides it being the same sport (albeit on a bigger ice surface) there is nothing that ties USA Hockey to the Pittsburgh Penguins in terms of how they do business. What I do believe however, is that Bylsma and his players will need a very good showing in the playoffs this year. Getting beat by a better team is one thing, which I feel that the Boston Bruins were last season. But to be swept in four games, and only scoring twice in those four games is a whole different bucket of pucks. The Penguins have to learn composure when things don’t go their way in the post-season. They go from calm to frustrated at the drop of a hat if things take a turn for the worse. That starts with Bylsma. He has to reel his guys in and keep them focused on playing smart and working hard. Everyone knows the disasters of the past four playoff runs for this team. I don’t think they have to win the Cup for Bylsma to keep his job, but they have to competitive and go down fighting if they’re going be ousted early. Before the Olympics, I not once heard Ryan Kesler’s name mentioned with the Penguins. Now it’s all I hear leading up to Wednesday’s deadline. 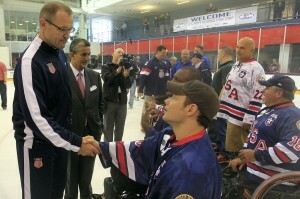 Is this a direct correlation to Bylsma and Ray Shero being involved with Team USA Hockey? Funny thing is Shawn, I was asking myself the same thing a week ago. According to Rob Rossi of the Pittsburgh Tribune-Review, Pens’ management had been enamored with Kesler for some time, and supposedly kicked the Vancouver tires on him back in January. My guess is that with the Olympcis giving Shero and Bylsma a first-hand look at Kesler, and allowing them to get to know him better, it simply raised their opinion of him. Having failed to acquire him on Wednesday; I fully expect Shero to circle back around to this come the draft at the end of June in Philadelphia. From the perspective of obtaining Kesler’s services, it’s a wise move. In terms of dealing with Vancouver once again, well you can read my opinion on them here. Tannor, you had mentioned quite a few names that you thought the Penguins would go after via trade. Some of those names were never moved (Kesler, Kane, Wheeler), and others were moved to different teams (Moulson). Were these names based on rumors that you heard, or your gut telling you that’s who Pittsburgh should go after? Well Melanie it was a bit of both. But I hear a lot of rumors, some I take seriously and think “Yeah that could work.” Others I pass off as wishful thinking. Prior to Kris Letang’s stroke, the Jets firing Claude Noel and their subsequent turnaround, I genuinely thought that Kane or Wheeler had a strong possibility of ending up here. It would have been a hockey trade for sure, which is what Ray Shero wanted from this deadline. 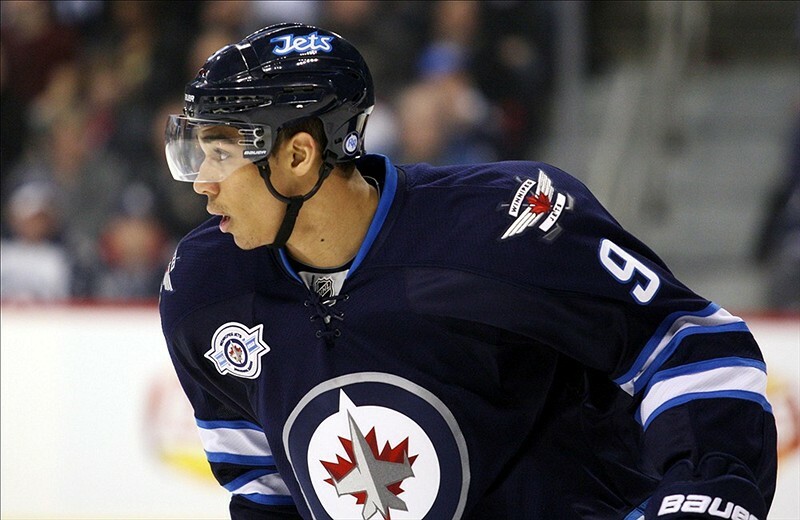 But in the end, good for Winnipeg for righting their ship and not having to trade their two best players. Ryan Kesler was in play, but Vancouver didn’t have their house in order, which I believe led directly to them not moving him. As for Moulson, I firmly believe that had Shero not put most of eggs in the Kesler basket, he could have had Moulson (or Thomas Vanek) for a relatively cheap return. Especially considering what the Wild paid for Moulson, and Montreal paid for Vanek. I’m not fully behind Shero with his moves earlier today (Wednesday). 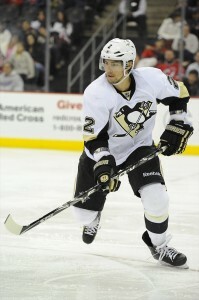 Do you think that he did enough to put the Penguins in a position to compete for The Stanley Cup this season? Well Miles, the two biggest needs that this team had entering Wednesday were third line forwards, and a winger for Crosby and Kunitz. In short, forward depth was the singular biggest hole that needed filling. Marcel Goc will be a third line forward; whether it be at center or wing remains to be seen. Stempniak should get his shot to skate on Crosby’s right side, barring something unforeseen. I know that a lot of Pens’ fans are upset that Pittsburgh couldn’t land Kesler. But the fact is, Kesler would not have solved the forward depth problem, nor would he have solved the winger for Crosby. He simply would have been an upgrade over Brandon Sutter. Even if Goc and Stempniak end up playing along Sutter on the third line, that’s a win in my opinion, as long as they can produce. Those two are an upgrade over what’s been there for most of the season. Why haven’t we heard anything regarding a Matt Niskanen extension? He has easily been there most consistent defenseman all year long. Will he be back next season? There hasn’t been any talk about an extension for Matt Niskanen because the Penguins won’t do that in the middle of the season. And last summer, I’m not sure that anyone saw this kind of season coming from him, therefore not warranting the extension then. That said he has played himself into a nice little raise come this summer. Does that raise come from the Penguins? I know that it should. If my math is correct, the Penguins will have anywhere between $10-$16 million available to spend, depending on the salary cap (rumored to be anywhere from $68 million-$71 million). As of right now, the Pens have $55.125 million already spoken for next season. And yes that does include the raises due to Malkin and Letang with their new contracts kicking in. It does not however include a raise to Brandon Sutter, who will be a RFA come July 1st; along with Simon Despres, also a RFA but whose raise should not be that dramatic. The one downside to resigning Niskanen is the effect it will have on the younger players in the system. Guys like Brian Dumoulin, Scott Harrington, and Philip Samuelsson. Defensemen who are ready to see full-time NHL action. Come next season the Penguins will have an abundance of NHL-caliber defensemen, and only six spots to go around.